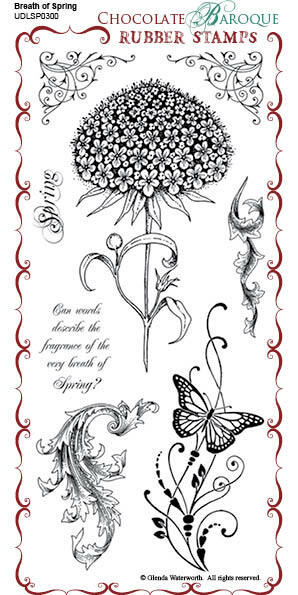 This rubber stamp set contains several images of spring florals together with some leaves, swirls and a butterfly. 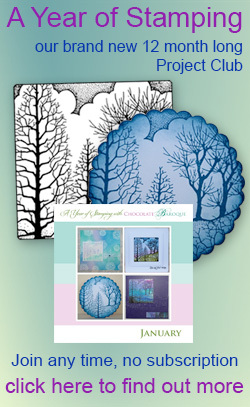 An ornamental set that can be used for a multitude of project, artwork and designs. 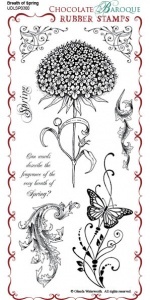 Stunning Breath of Spring stamp set. This is a beautiful set of stamps - I love the various flourishes and the sentiment. This set also works perfectly with the "Spring Bird - Tulip" stamp set. LOVE it! Fantastic images that are very useful for many occasions birthdays,get well, thinking of you, just for you and sympathy to name a few. The images are crisp and the quality of the stamps are supreme. This stamp has so many elements to it which can be used for one project or combined with other stamps to create many different effects. 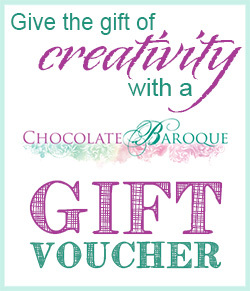 The quality and detail are particularly good which means that the finished image is crisp and clear. I was attracted to this by the large Allium. It really does come out perfectly. I can't really draw, so I am pleased that someone can, and I can use their beautiful artwork again and again. This is a beautiful set, that stamps so perfectly. They give a wonderful crisp and definite image.